Who is CARE? What Does CARE Do? The simple answer – CARE exists to help our fellow neighbors, friends, community members in and around the greater Cable area in times of crisis or emergency where we are able. 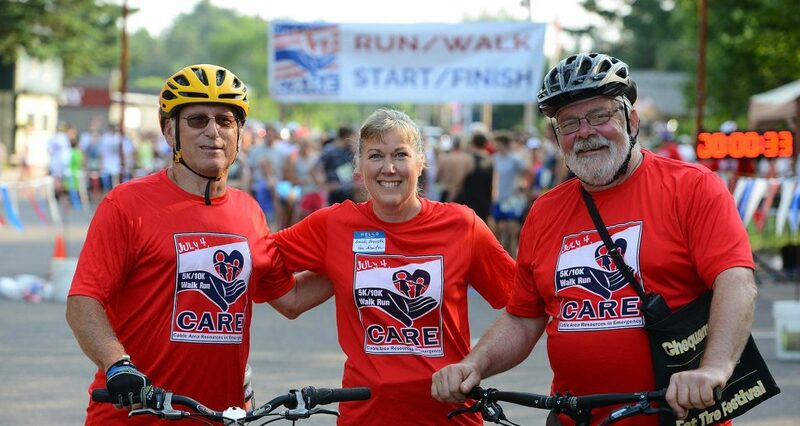 We are a nonprofit 501(c)3 organization, and rely on donations and profits made by the CARE 5k/10k 4th of July Race and A CARE Christmas events. All donations given to our organization are tax deductible. Our goal and mission is to make a positive difference in someone’s life during trying and stressful times, and to help our fellow friends, neighbors, and community members when it is needed most. Every situation we encounter is different. Perhaps the need is gas money, help with heating a home, warm clothing or winter boots for a child, help with medical bills, or information about helpful programs in and around our area. In addition to emergency requests, we work with the Drummond School District to provide warm winter coat, snow boots, snow pants, mittens, and hats to students in need of them. The Drummond School provides us with a list of needs, and we buy the needed items. The school then discretely distributes needed items.